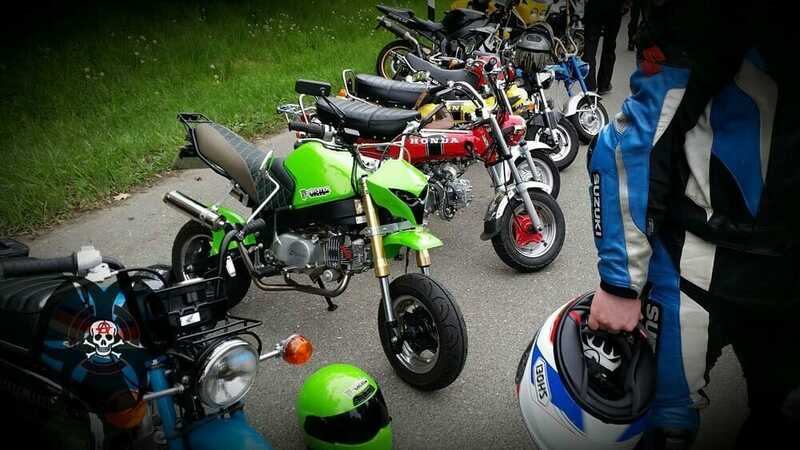 On the motorcycle meeting in Nürnberg every year find thousands of bikers. 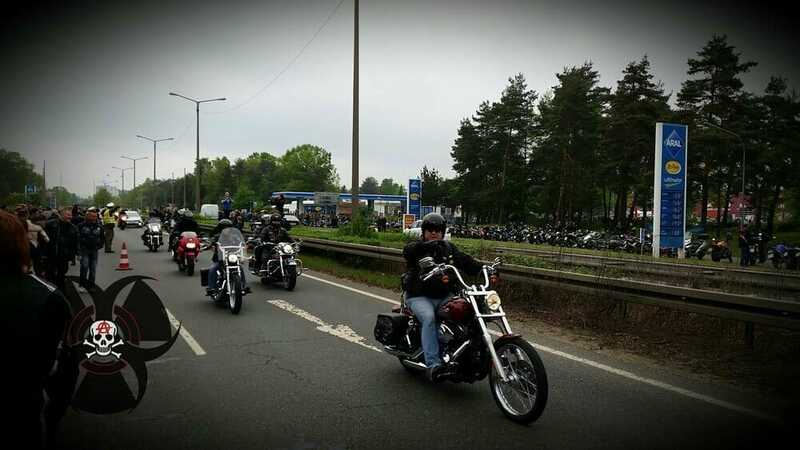 There is no organizer and yet this year were 8,000 bikers because, despite the announced (and yet be dependents ) bad weather. 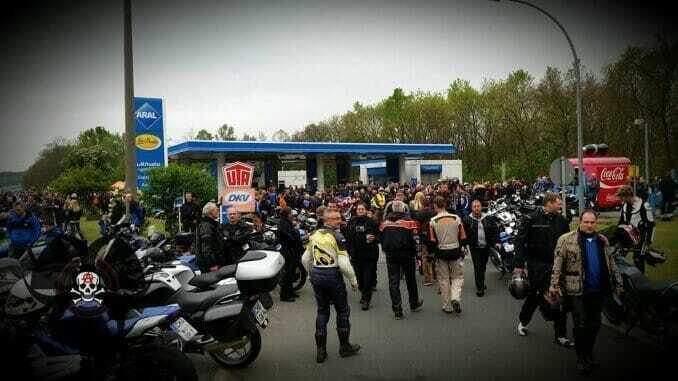 In the Münchener Str in Nürnberg the first bikers met from 8 clock at the two Aral petrol stations (inbound and outbound). 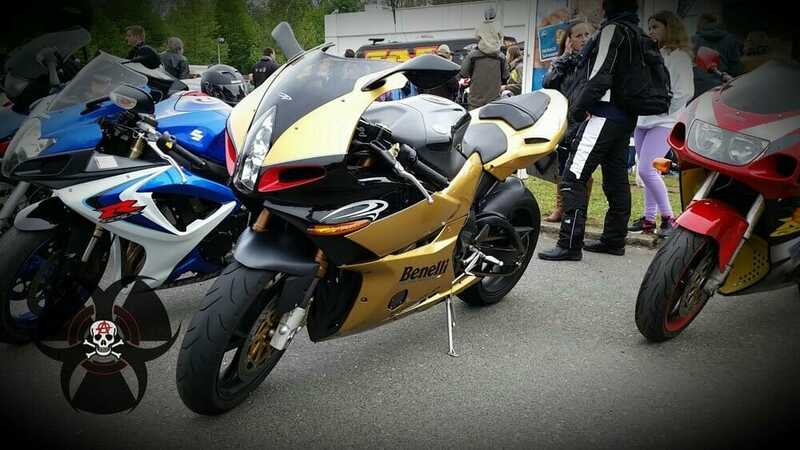 According to Internet rumors is only met to launch a joint drive to the monastery Weltenburg from about 10 clock. Very many meetings now but there is a order to drive their own tour. The gas station was no longer usable for normal operation and has been fully delivered by parked vehicles. To find was everything you could imagine for a meeting like this. Naked bikes, sports, supersports, touring, Street Fighter, custom bikes, Harleys, trikes, scooters, sidecars, cross bikes, quads … As varied as the bikes were of course the driver. 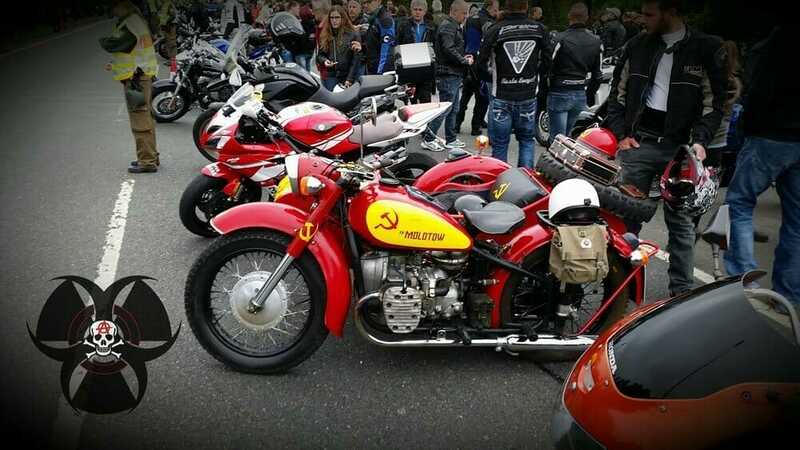 From the old rockers, families with young children and Clubs everything was represented. Adjacent parking were also used so that the supermarket car park has also filled very quickly. In the end, was the two-lane road out of town (plus emergency lanes), except a narrow passage, almost to the highway completely overpopulated. Just check out the map at the bottom of. Of course, the traffic was regulated by a mass of police. 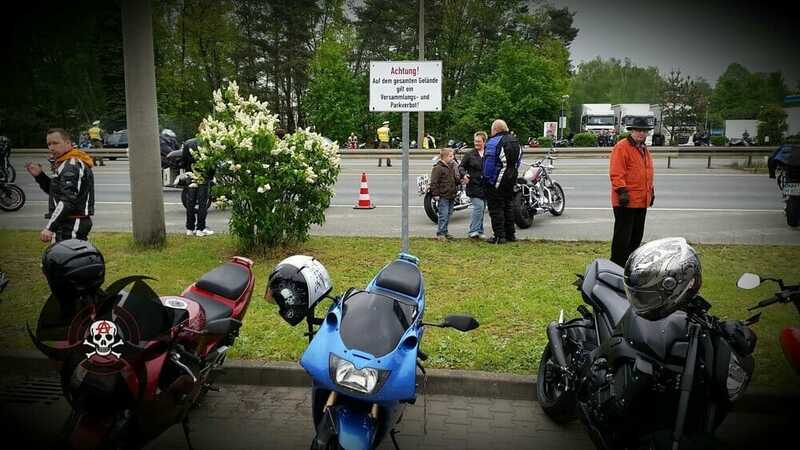 Auf dem Schild: Achtung auf der gesamten Fläche gilt ein Versammlungs- und Parkverbot. Since the meeting is mainly limited to two gas stations (it was only a Burger King and two takeaways nearby), one would think that one of these masses for a small snack or a coffee is pending forever. However, this was absolutely not the case! They were all very well prepared for the meeting on 01.05.2014 and especially the crowds at the few points of contact was actually much smaller than one might expect. After 5 min, we never had to wait. When it comes to women and toilets sees the then already different, but not dramatically. Extra toilets were in any case not be posted. 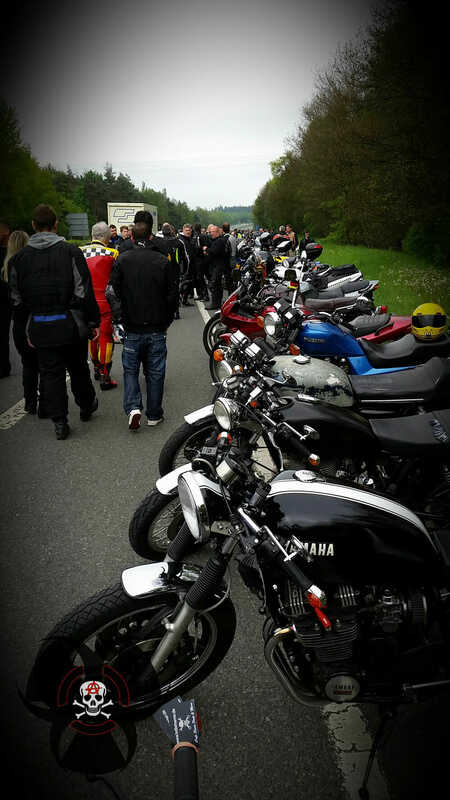 To see you get on the motorcycle meeting on the first of May in any case enough. When start moving the masses then from 10-11 clock in motion to start the planned exit which is quite impressive. From 11.30 clock then everything was pretty much over. I do know is what I have. 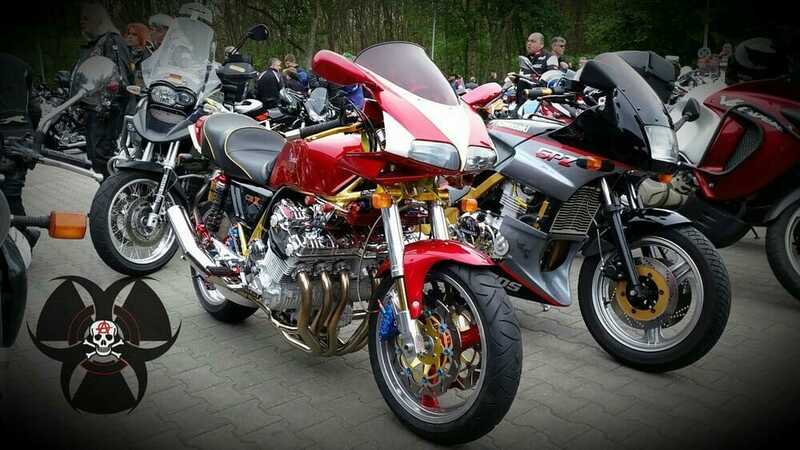 Next year at 01:05 do – a Maytravel to Nürnberg for motorcycle meeting. All pictures of the meeting, as always, in the gallery!